We are licensed and insured master electricians. From residential work to commercial projects, Big Bear Electrical Contracting does it all. Honesty and Integrity are our core values. Call us today to set up a fair and accurate estimate. No job is too big or too small. Our friendly staff is available to answer all of your questions! The following is a partial list of the many services that are available through Big Bear Electrical. If you don’t see what you are looking for, give us a call at (631) 431-5726 and just ask! We will be happy to answer any of your questions. We can add lighting to all of the dark spaces in your house. Lighting under your kitchen cabinets, closet lighting, recessed lighting, outdoor safety lighting, landscape lighting--these are just a few of the many types of lighting that we can add to your home. Does your dishwasher keep tripping your breaker? Are your GFI outlets constantly tripping? These can be signs of a bigger issue. 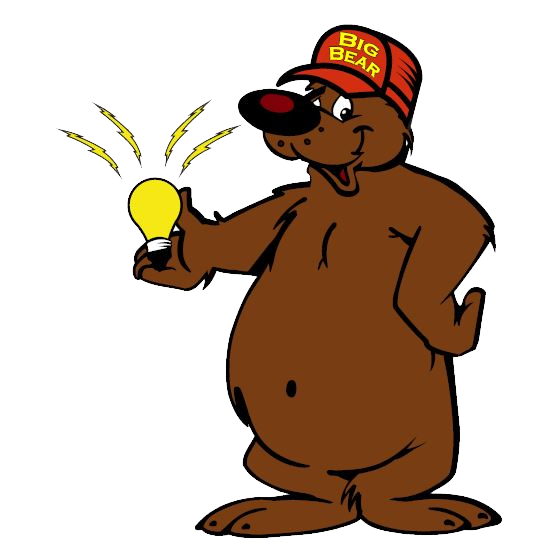 Call Big Bear Electrical Contracting to inspect and repair all of your electrical problems. If your house has old or defective wiring, you can call the professionals at Big Bear Electrical Contracting. We will inspect and identify the source of your problem and repair it. We can rewire your entire home if necessary! If you need an outlet moved or added, a ceiling fan installed, wiring for a flat screen TV or a new appliance, landscape lighting installed, electric run to your outdoor shed: these are just a few of the many residential jobs that we perform every day. We are experienced in all phases of commercial electrical contracting. Whether you need us to work on 110v or higher voltage systems, our professionals are trained in every area of electrical contracting. 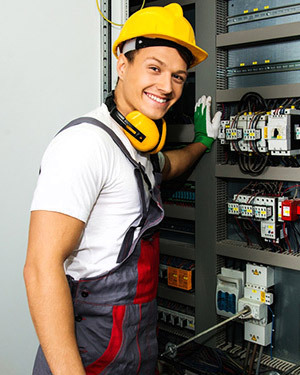 We are licensed and insured master electricians. We live on Long Island. Let's face it, it's only a matter of time before we endure another storm that will likely knock out power for days to weeks. We recommend letting us purchase and install a high quality generator! We take pride in every job that we do. We are honest, reliable and we make sure each job gets done right and on time. We have a friendly professional team that understands our core values. We are dedicated to these values, and have built a strong reputation for our honesty and reliability. We take your satisfaction seriously. We do everything in our power to do the job perfectly the first time. If for some reason you are not happy with the work that we’ve done, simply give us a call and we will take care of it right away. We give free accurate estimates. We will never go in with a low quote only to raise our prices when we are in the middle of a job. We do our absolute best to ensure that our estimates are as close to the actual cost as possible.